Cork have cantered into a first All-Ireland U21 final in 20 years on the back of a clinical 22-point defeat of Wexford on Saturday. Denis Ring’s side led from the fifth minute and dominated from there through to the finish. The only debate long before the first period ended was just how big a victory this would prove to be against a disappointing Wexford side. Nine of the Cork squad had featured on the senior panel that lost their All-Ireland semi-final to Limerick only six days before. So, the win – and the prospect of a title later this month – comes as a timely fillip for them and the county at large. 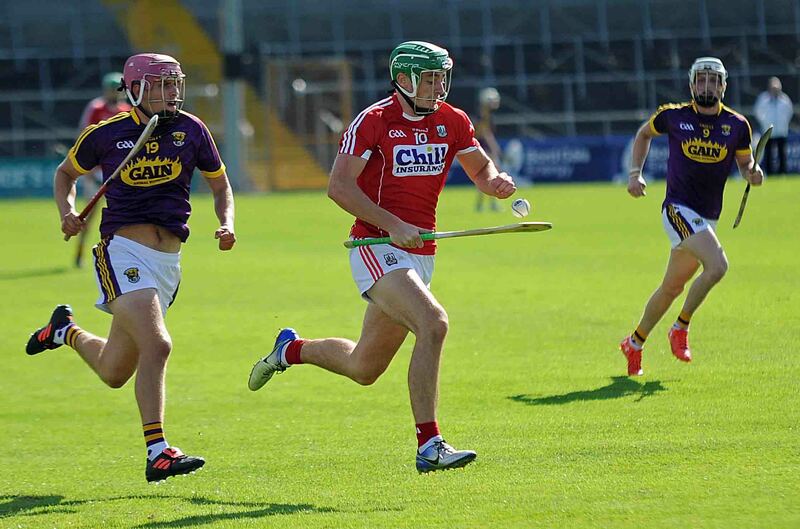 The Munster champions will meet either Galway or Tipperary in the decider - those two meet this Wednesday – with the only negative for the winners being the loss to what appeared to be a knee injury of Declan Dalton ten minutes from time. The Fr O’Neill’s man had claimed eight points by that stage, two of them from play, and the second of which was a delicious score made possible by an audacious dummy. Six of his seven dead-ball efforts had been on the money, too. Wexford had played out an epic Leinster final against Galway but their ambitions were dented badly with the loss to injury of the St Martin’s cousins Rory and Joe O’Connor. The former had been their attacking spearhead and the latter a starting midfielder. It’s unlikely their presence here would have swung this one their team’s way as Wexford played so, so poorly on the day. Their first touch let them down far too many times and they had few answers to the questions posed to them by Cork. Only Seamus Casey was doing enough up front and they were struggling to win ball in every corner of the pitch, most crucially at the back where they were under constant pressure. Six frees for Dalton in the first-half alone spoke for that. The Leinster runners-up just had no answer to the power, pace and precision of a side containing seniors stars such as Darragh Fitzgibbon, Shane Kingston and Mark Coleman and that trio was amply aided by a host of others. Tim O’Mahony did the most damage in the first quarter, the Newtownshandrum full-forward claiming two goals after seven and nine minutes. Both were rebounds after his own initial shots had been thwarted brilliantly by Wexford goalkeeper Jack Cushe. Wexford would never recover and the gap at the break was already an alarming eleven points with Cork having posted 2-14 by that point: a mightily impressive effort for only 30 minutes of hurling plus injury-time. The second-half, played out in front of a disappointing crowd of 3,538 at the Kilkenny venue, was merely a box that had to be ticked and Cork demonstrated an admirable ability to retain their focus by continuing to rattle off the scores. Liam Healy added the third goal, after 40 minutes, but nobody made more profit in the wide open spaces and from the dip in intensity than St Finbarrs substitute Conor Cahalane who claimed four points from play as the clock ran down. A stroll in the park for them. 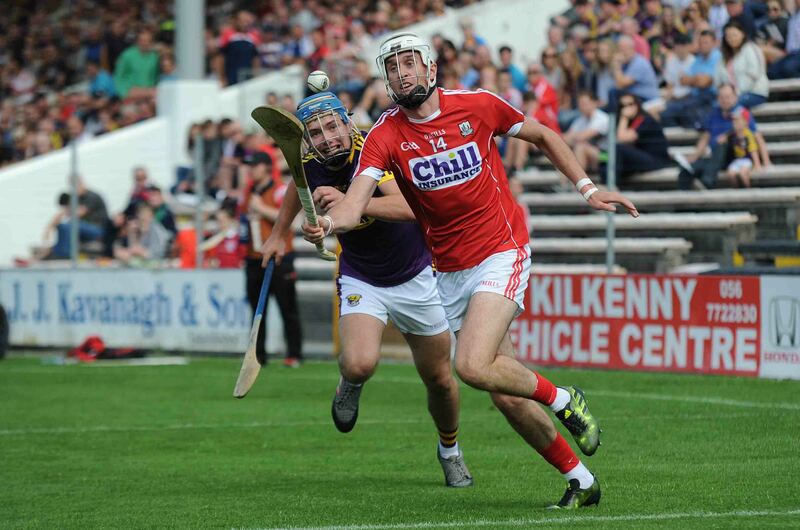 Scorers for Cork: D Dalton (0-8, 6 frees); T O’Mahony (2-2); J O’Connor, S Kingston and C Cahalane (all 0-4); L Healy (1-1); A Myers (0-2 frees); C O’Leary (0-1). Scorers for Wexford: S Casey (0-6, 3 frees and 1 sideline); A Maddock, D Reck and R White (all 0-2); C Hearne (0-1). Cork: G Collins; D Lowney, E Murphy, N O’Leary; J Cashman, G Millerick, B Hennessy; M Coleman, D Fitzgibbon; R O’Flynn, D Dalton, S Kingston; L Healy, T O’Mahony, J O’Connor. Subs: C Cahalane for Millerick (36); A Myers for Dalton (53); D Connery for Fitzgibbon (55); C O’Leary for Kingston (59); C O’Callaghan for Coleman (61). Wexford: J Cushe; S Reck, D Byrne, E Molloy; C Firman, I Carthy, R White; A Maddock, G Molloy; O Foley, D Reck, L Stafford; M Dwyer, R Higgins, S Casey. Subs: S O’Gorman for S Reck (25); D Codd for Stafford and C Hearne for Foley (both HT); E Kelly for Higgins (41); J Donohue for Byrne (46).